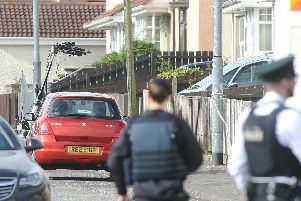 Foyle PSNI has issued an appeal for information about a road traffic incident in the Lone Moor area of the city last month. At around 4.20pm on June 12 a red Toyota Avensis was stopped at the mini roundabout on Lone Moor Road with Brandywell Road. Police stated: “A silver people carrier coming from Brandywell Road onto Lone Moor Road towards the city has struck the front of the red Toyota Avensis causing damage.